From the mud spring trail of Mt. Makiling, it takes more than an hour of uphill walking to get to Agila Base and another hour of trekking into the forest to reach the place where the elusive Rafflesia plants are supposed to be found. Scientists and students of the University of the Philippines – Los Banos have been trooping to Mt. Makiling this month to see the weird-smelling flowers in full bloom. On Sunday, ABS-CBN joined a group of entomologists – experts on insect taxonomy – in search of the plants that use flies as pollinators. 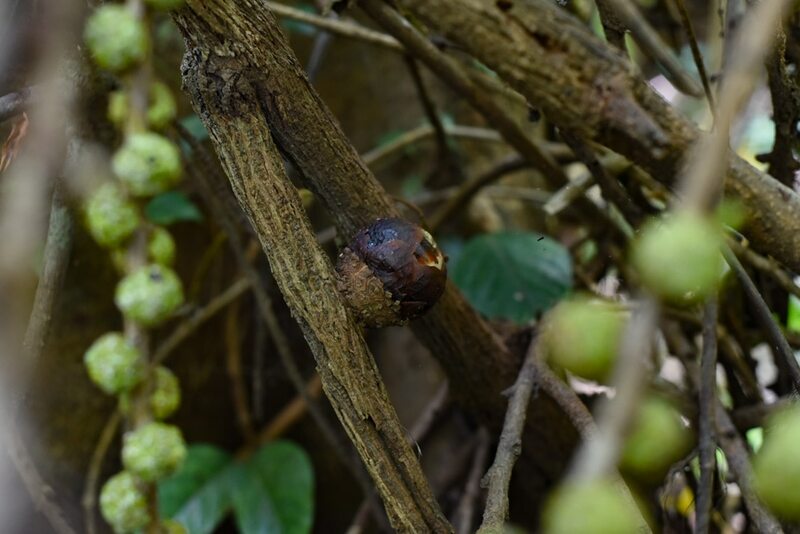 After hours of trekking, the group found the Rafflesia’s ball-like buds. Meters away, hidden behind a tree of Hagimit, were two orange polka-dotted Rafflesia lagascae flowers. The Rafflesia lagascae, among the smallest species of Rafflesia in the Philippines, is as big as a salad plate. Despite being relatively small, it brings such a shock of color to the predominantly green foliage of Mt. Makiling. 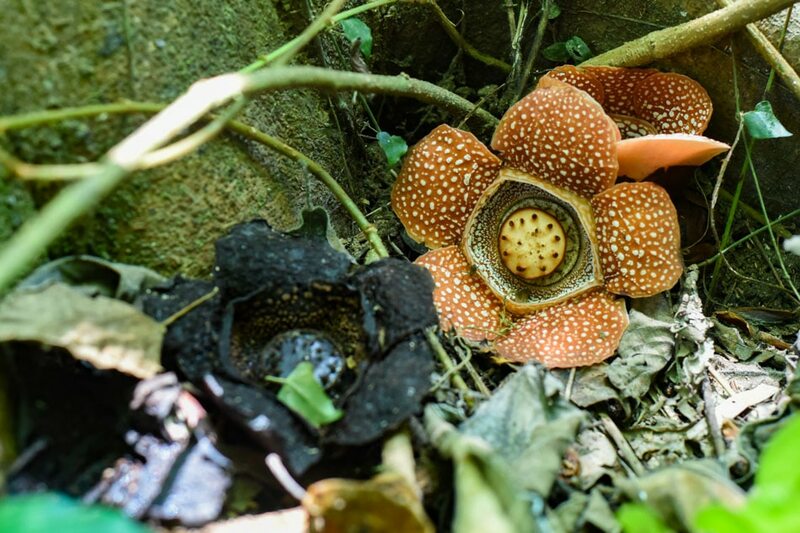 And if you decide to actually stop and smell the flowers, you will get a strong whiff of a sea-like or fishy stench – not as rotten as the other Rafflesia flowers are described to be. According to botanist Annalee Hadsall, the Rafflesia relies on the vines of Tetrastigma plant for water and nutrition. 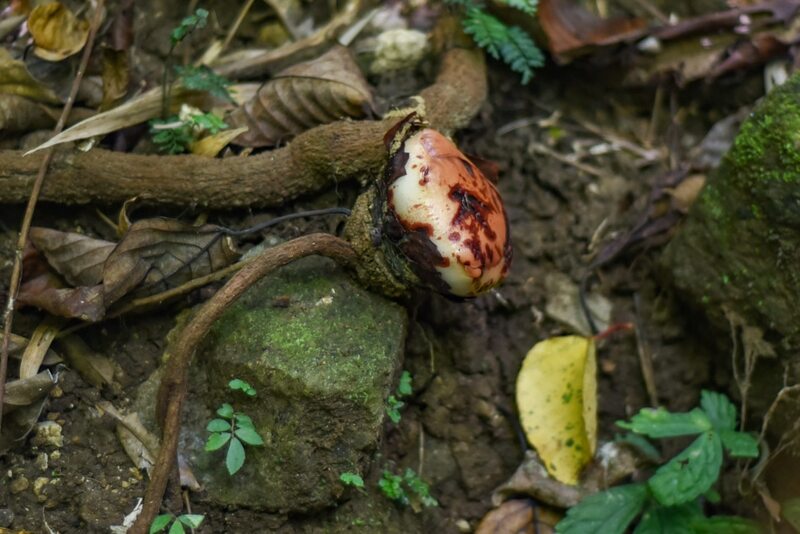 “(The Rafflesia) does not have leaves, roots or even a stem,” Hadsall said in a phone interview. 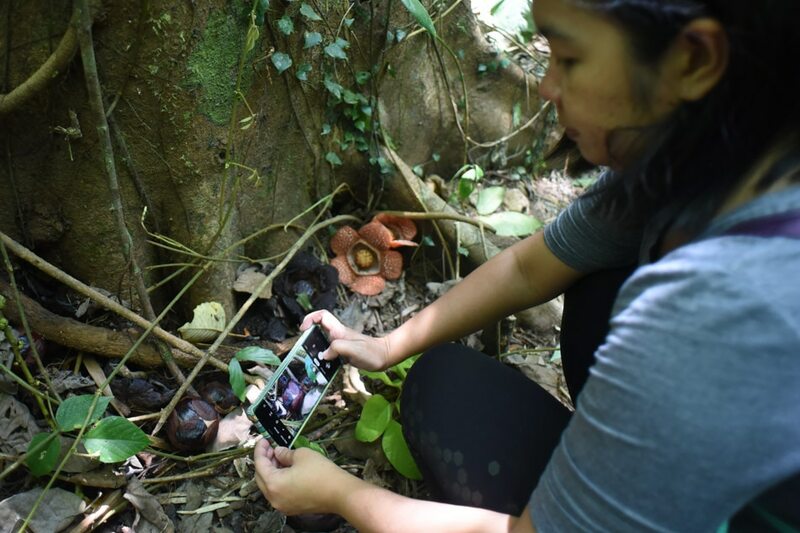 She said the smell of the Rafflesia might also driven by temperature although it does help attract flies that serve as the plant’s pollinator. Despite its reputation for having a foul smell, the entomologists from UP Los Banos were enthralled by the flowers. Dr. Ireneo Lit. Jr., an entomologist and professor at UP, said he has been returning every year to see the flowers and the flies that help them pollinate. “I hope they are really conserved because the Philippines is unique for having 15 species,” he said. Twins Klexa and Kexya Gustilo, who were accompanying their entomologist brother, were also delighted to see the flower for the first time. “It’s really beautiful,” software developer Klexa Gustilo said. 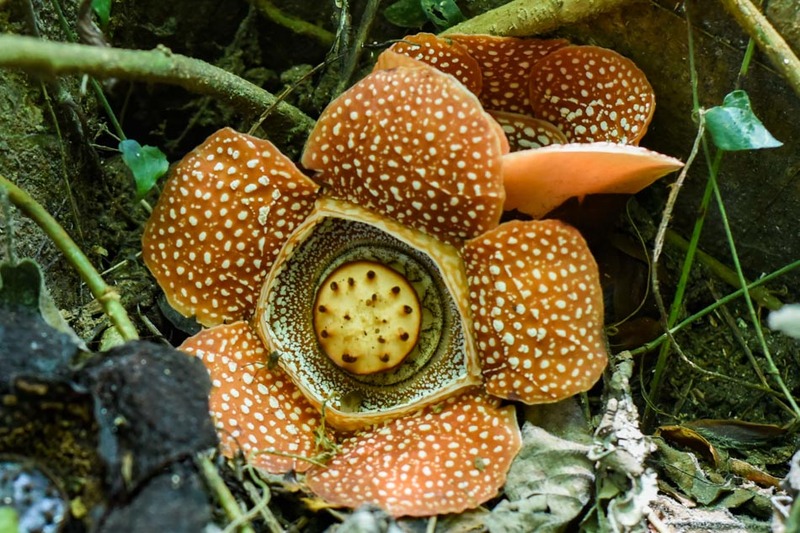 While Borneo has the largest Rafflesia species – the Rafflesia arnoldii, the Philippines holds the record for having the most number of species. We also have the smallest – Rafflesia consueloae. Hadsall, who has been visiting the Rafflesia flowers in Mt. Makiling for the last eight years, said they would sometimes cover the blooms with leaves so hikers who are not as informed about the endangered species won’t be enticed to pick them. “Enjoy the beauty of nature but don’t pick the flowers. It won’t survive without the host plant,” she said.